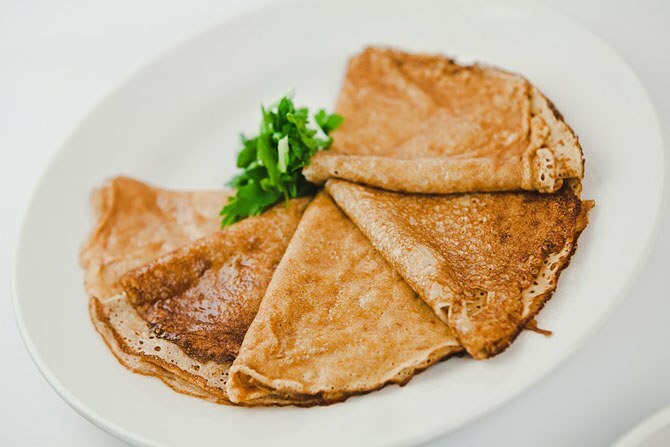 Pancake week is simply not imaginable without pancakes: large and quite small, with and without toppings, but pancakes with the end of February and until lent not leave the tables of the Russians. However, those who holds the post is not strict, the Goodies do not refuse to the summer changing is that the stuffed with meat for a more humble vegetable, berries or cottage cheese. The imagination of the cook is, where carousing! Stuff the pancakes in the post pridumali in one of the monastery parishes. The first fillings were.... porridge. The most common lean cereal. These pancakes were baked spetsilno for those who for health reasons to keep strict fasting could not. The tradition caught on, and the pancakes and stuff still. 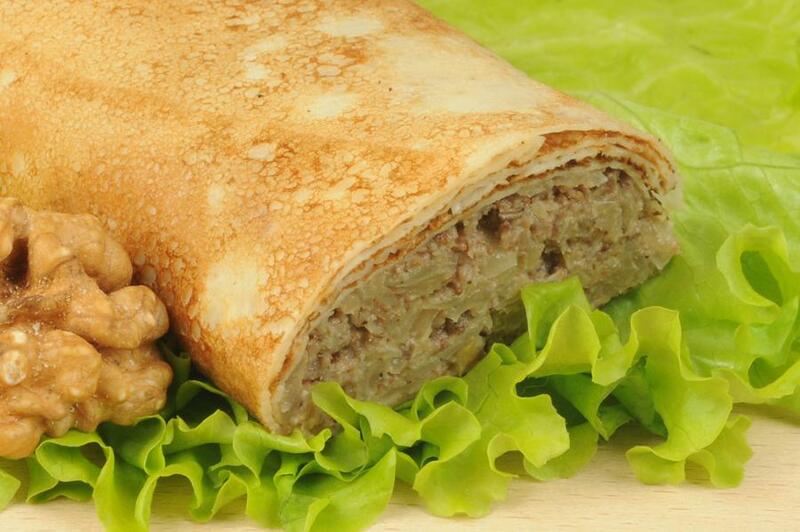 Some connoisseurs prefer pancakes meatless stuffing with cabbage. Its recipe is as follows: in the pan, poured vegetable oil, put two teaspoons of sugar and a good cook (but don't allow formation of caramel). Then add the chopped cabbage, stir thoroughly and fry until then, until it acquires the brown color. Salt is not necessary. Cooled filling can be stuffed pancakes. Many gourmets prefer the stuffed cabbage and eggplant. For this finely chop the cabbage and bake the eggplant, which then pass through a meat grinder. Then the prepared ingredients simmer 10 minutes on low heat, add chopped onion, salt and pepper, cover and simmer for another 15 minutes, till excess liquid. Prepare the pancakes with bananas. 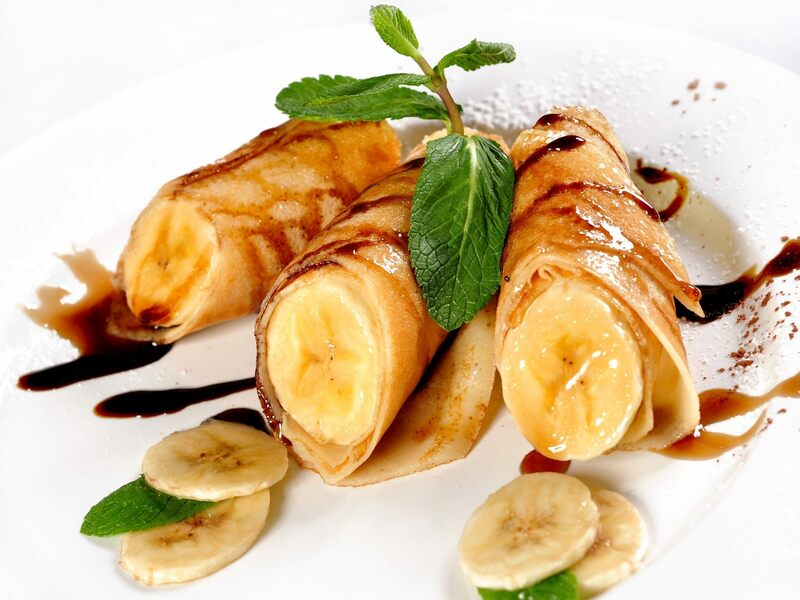 Bananas cut into small cubes and place along the edges of the pancake. Then roll the pancake into a tight tube. For the sweet tooth you can sprinkle these pancakes with chocolate or sprinkle with powdered sugar. 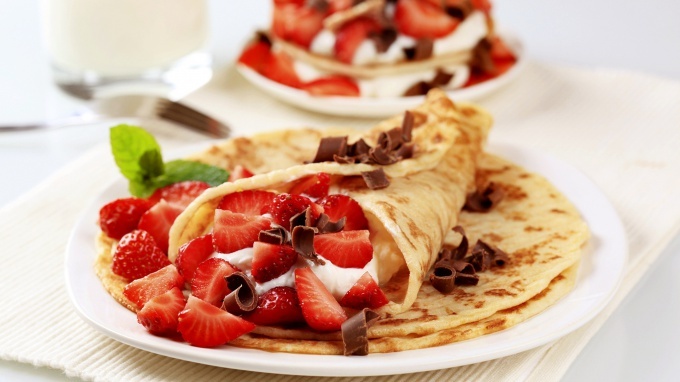 Many people prefer pancakes with Apple filling. For its preparation is necessary 8 sour apples, peeled. Cut them into 4 pieces and place in a saucepan, into which put a few tablespoons of sugar, 5 tablespoons water and a pinch of cinnamon. Once the apples are soft, the filling is ready. 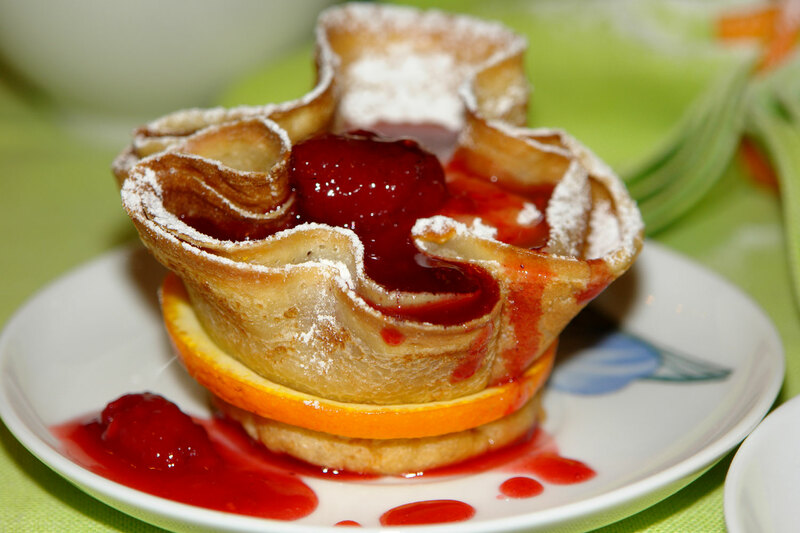 Fold the mass in a colander covered with a clean gauze, cool and stuffed pancakes. Really loved the stuffing of dried fruits. For its preparation you will need finely chopped dates and raisins. These components need to be put in a pot, cover with Apple juice and cook until a thick syrup.